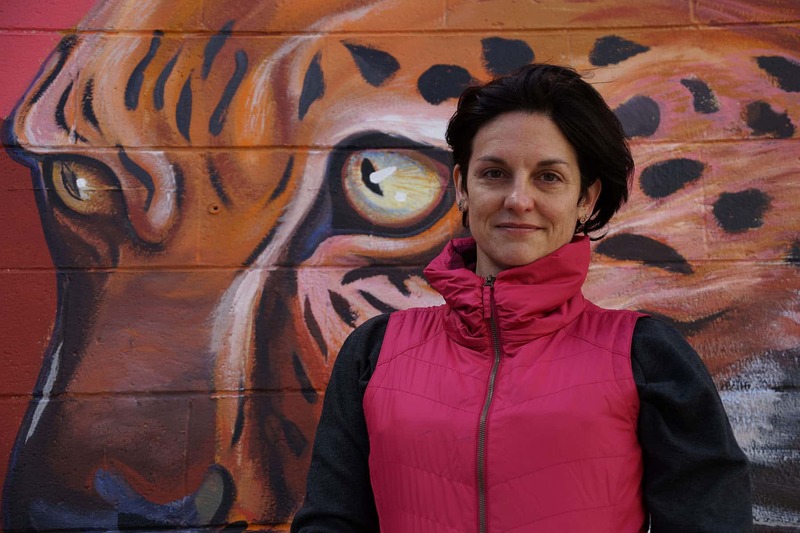 Stacey Williams-Ng, program director of the Black Cat Alley Mural Project, knew she wanted to be an artist from a very young age. But she never thought she would fuel a street art movement. In the Prospect Avenue Colectivo on Milwaukee’s East Side, Stacey Williams-Ng is in her element. Clad in a beanie and paint-splattered sweats in preparation for a day of mural painting, she ordered her regular latte before sitting down for an interview in the back room. The baristas are on a first-name basis with the street art maven. They frequently open up the room for Williams-Ng’s meetings about the Black Cat Alley Mural Project, Milwaukee’s hottest new street art destination. 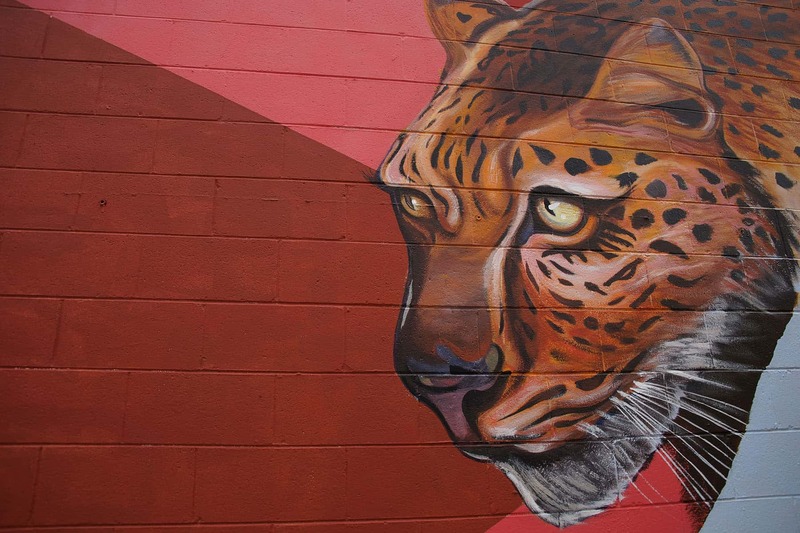 Located in the alley behind Colectivo, the Black Cat project installed eleven murals by local, national, and international artists. Williams-Ng’s blend of business expertise, gleaned from years working in graphic design consultation and extensive artistic acumen, make her the perfect leader to champion the initiative. 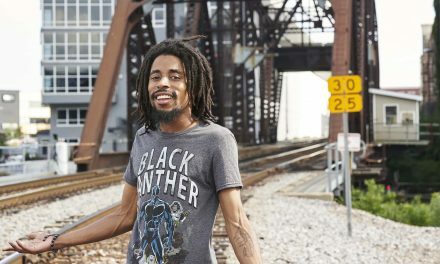 The Black Cat project is part of a nascent street art movement in Milwaukee and Williams-Ng is at the center of the storm. 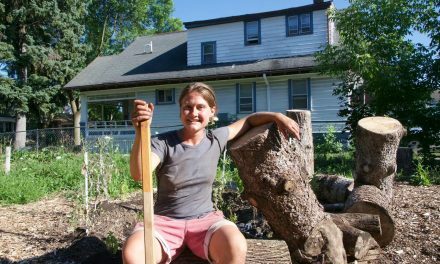 As director of the project, she relentlessly sought local business sponsors. Though she does not consider grant proposal presentations to businesses fun, they are an essential aspect of street art installation. 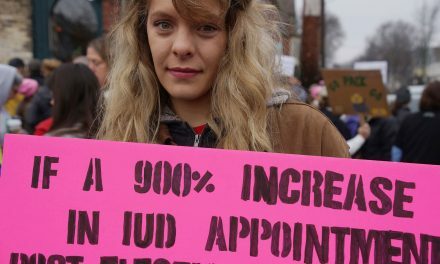 Her partner in the project, UW-Milwaukee art professor Tim Decker, said the project would not have been successful without Williams-Ng’s tenacity. The artists panel during the project’s planning was located in this very room at Colectivo, where Williams-Ng stood in front of a group of street art enthusiasts and confessed to be a “creative-type” who relied on her husband’s expertise as a copyright lawyer for the business aspects of the project. She had stretched the truth. Sipping her latte weeks later in the same back room, Williams-Ng revealed that she and her husband have discussions about copyright law over dinner. 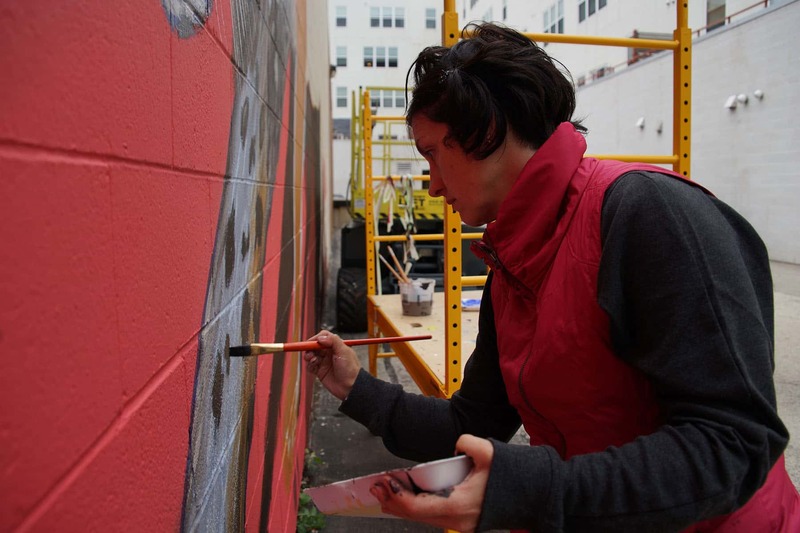 With a degree of self-possession only held by those at the top of their field, she outlined the opening of her new consulting firm, Wallpapered City, which helps businesses and communities install mural projects. 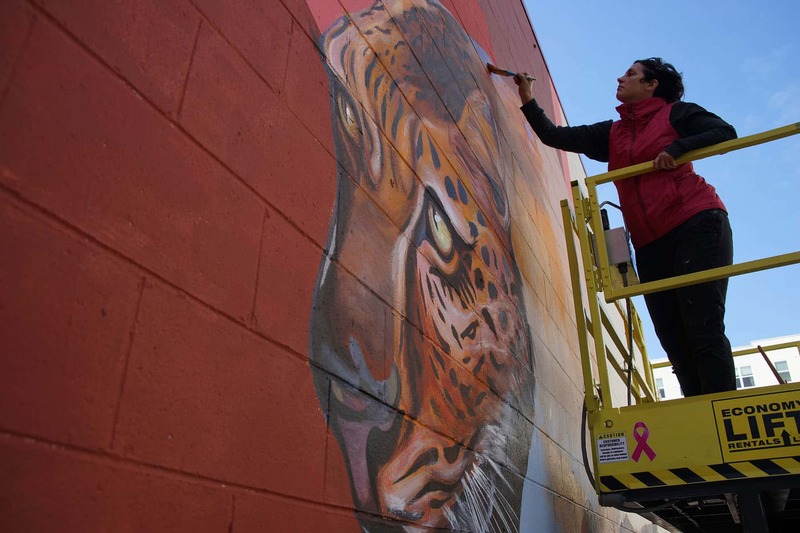 Many companies and local leaders approached her for advice on installing murals following the success of the Black Cat Mural Project in September, necessitating the founding of the consulting firm. 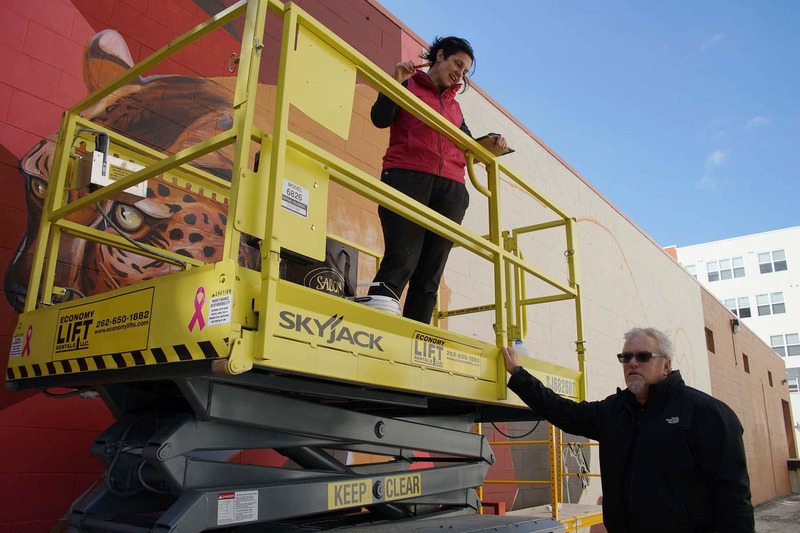 Williams-Ng is one of the few people in the city who has expertise in both business practices and art logistics, such as maintenance, graffiti coding, and waterproofing. Williams-Ng, an artist herself, is currently painting a mural in the alley behind Kashou Carpets. A self-professed fusspot with unremitting attention to detail, Williams-Ng often paints 12-hour days. 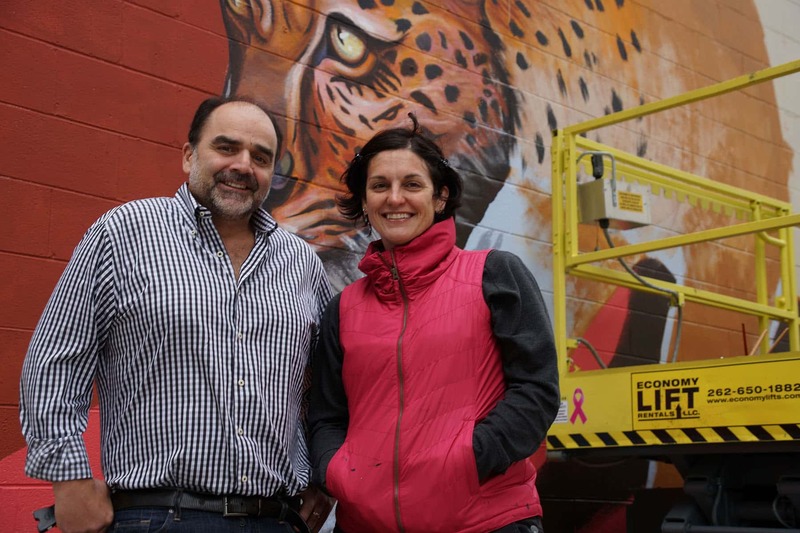 Her current mural depicts a leopard of her own design. Her artistic drive led her to study graphic design at the University of Memphis, but Williams-Ng never expected street art to become such a big part of her life. She became involved in the movement after traveling to chalk art street festivals across the country in 2007. She fell in love with the transience of chalk art, “street painting,” in her words, and saw the potential for her own art in the larger format. After meeting Decker at a chalk festival, the two of them saw opportunity for street art in Milwaukee. Milwaukee is the Wild West of street art. Unlike Chicago, the city has yet to set restrictions on street art with legislation. 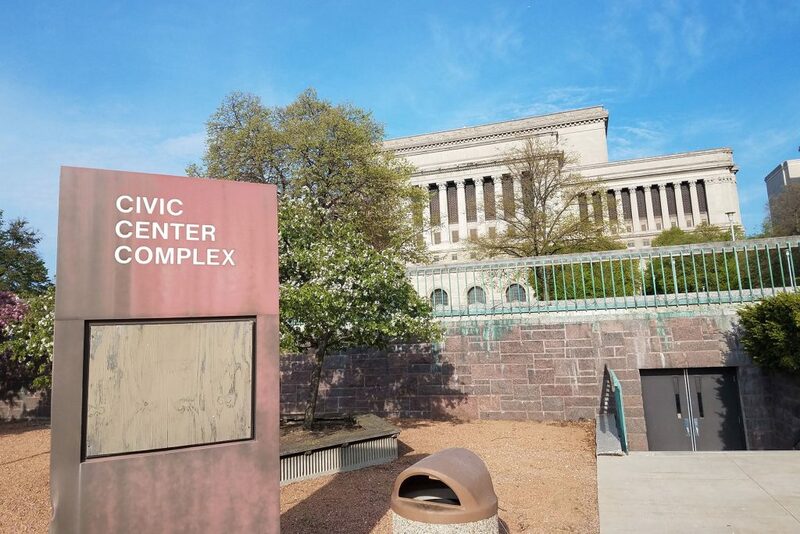 There is an influx of opportunities for Milwaukee’s many artists to contribute something other than an advertisement to the urban landscape. Decker and Williams-Ng also emphasize the ability of street art to affect change. 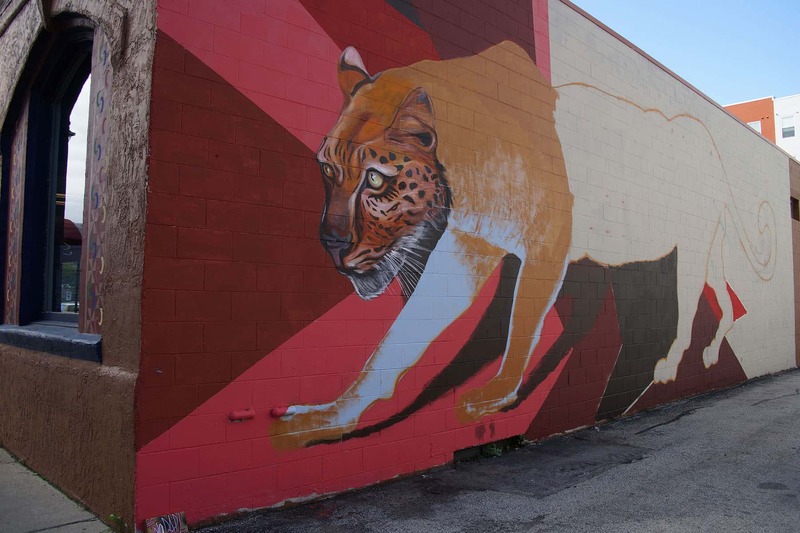 Before their mural project, Black Cat Alley was tellingly nicknamed “Rapͼ Allͼy.” After the installation of the murals, it is full of art for which the community can take ownership. However, Williams-Ng is unsure of how to address the issue of gentrification. Homeless people who previously lived in the alley may be displaced as the alley becomes a popular tourist destination. 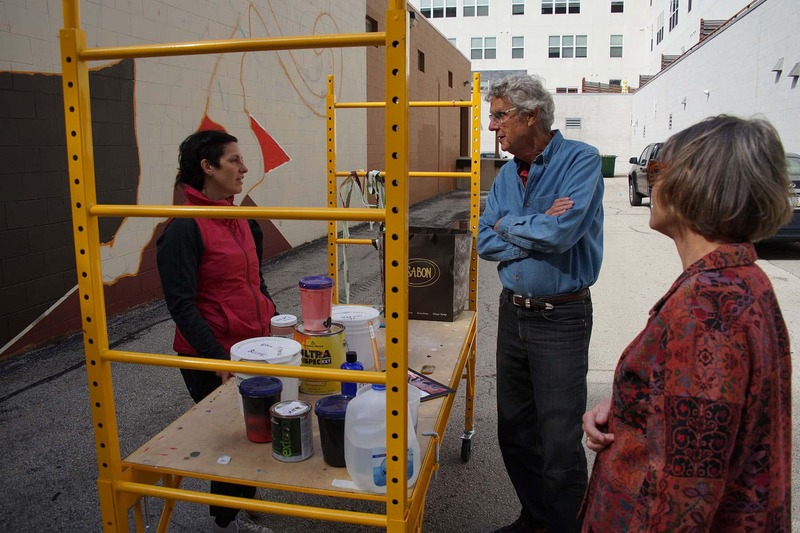 Williams-Ng and Decker have discussed installing livable sculptures into the alley as part of the ten murals that will be installed next year, and the ten in the following year. But they have not arrived at a solution yet. Instead of channeling her energy towards abstract art, Williams-Ng centers her attention on the services art provides. In 2015 she completed a project depicting circus performers. Her favorite piece from the collection was “American Beauty: The Fat Lady.” Her friend had volunteered to be the subject of the painting. 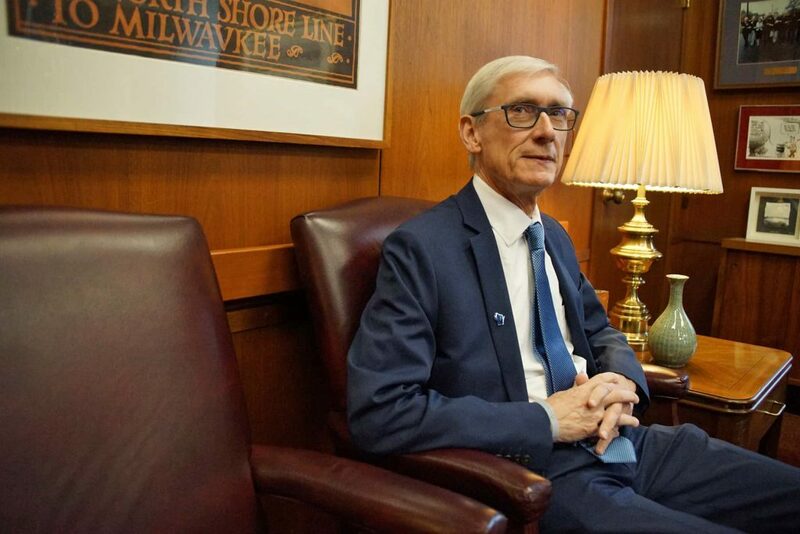 She did not like “everything” about Milwaukee right away. Upon leaving Chicago, she wept, thinking she would intensely miss the Windy City but was surprised when she really did not. She has since lost touch with many of her Chicago friends and attributes this to the Milwaukee art community. Compared to Chicago’s art community, which is structured in a thousand separate silos, the Milwaukee art community is relatively integrated. However, she qualified, this only applies to the visual high art community. She met performing artists while painting The Nine Muses outside of the Milwaukee Ballet National Avenue Center and discovered the separation between the visual and performing art communities. Williams-Ng experienced the same separation between street art, considered low art, and the rest of the high art community. 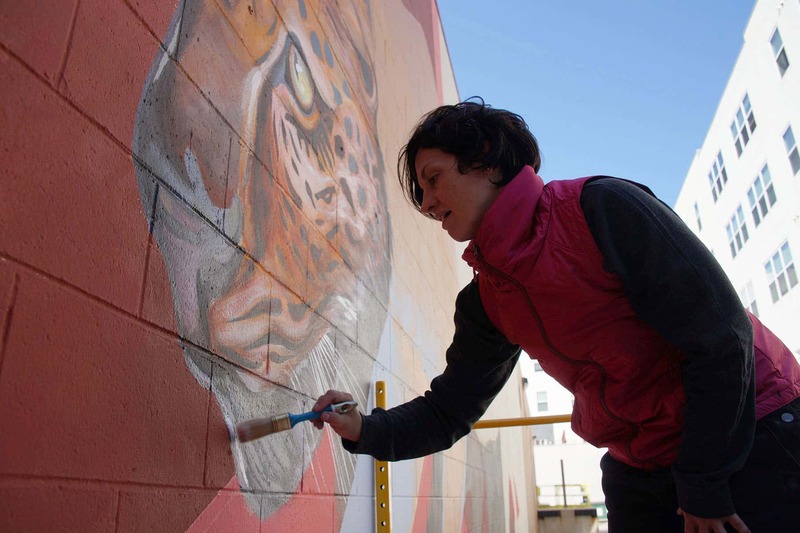 She wants to diminish the tension between high and low art in the city, as she does not see any fundamental differences in quality between her Nine Muses and the cheetah mural she is currently painting. 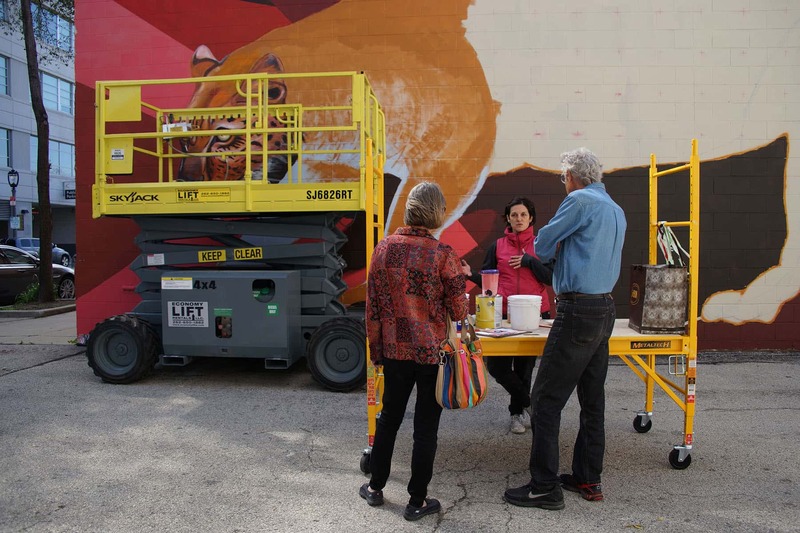 To bridge the low and high art communities, Williams-Ng has connections with prominent art curators and street artists alike. 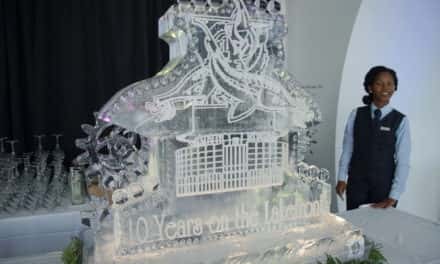 She made some progress in opening a gallery exhibit featuring the Black Cat Alley artists’ work at the Villa Terrace Decorative Art Museum in September. Essential to the opening of this exhibit was executive director John Sterr. The museum had recently showcased the environmental art of John Staab, which consisted of ephemeral sculptures made of natural materials. Sterr made the connection to street art because, instead of sticks that blow away in the wind, street art temporarily graces the sides of buildings in urban communities. 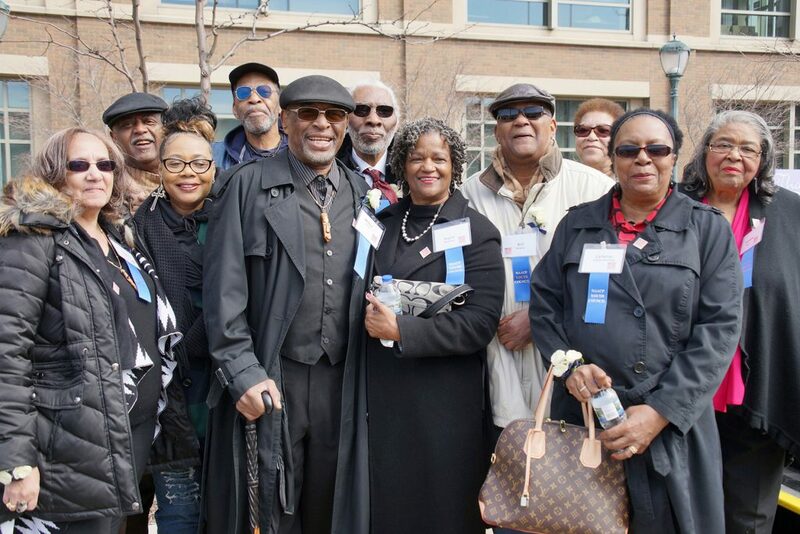 Williams-Ng holds that the overlap between high and low art creates opportunities to make accessible art for people in the Milwaukee community. 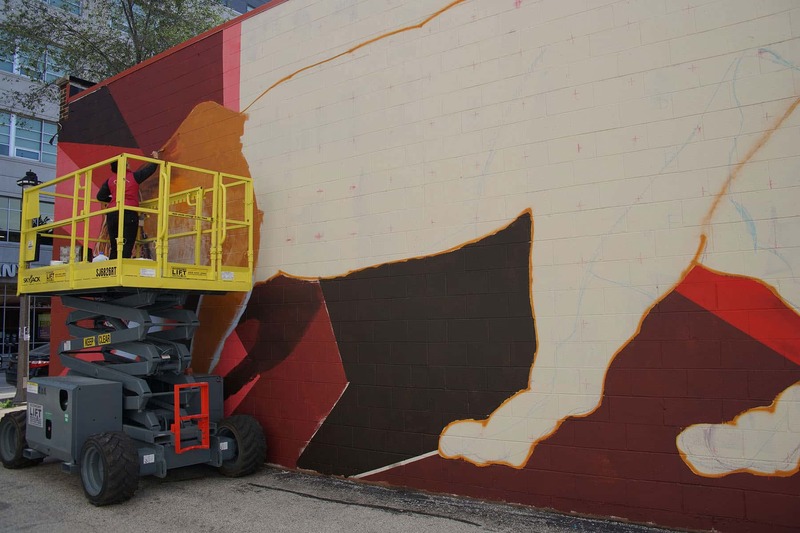 MTO, renowned French street artist, understood that the Milwaukee community was new to the art format and painted his first realist color painting in years for the Black Cat project. He called the frog mural “Glitch” because it was a glitch in his profile, which primarily consists of black and white murals. In a world where traditional painting must battle with 3D animation and Netflix for viewers attention, galleries are finding it hard to compete. Street art, on the other hand, is dynamic and brings beauty to urban communities. 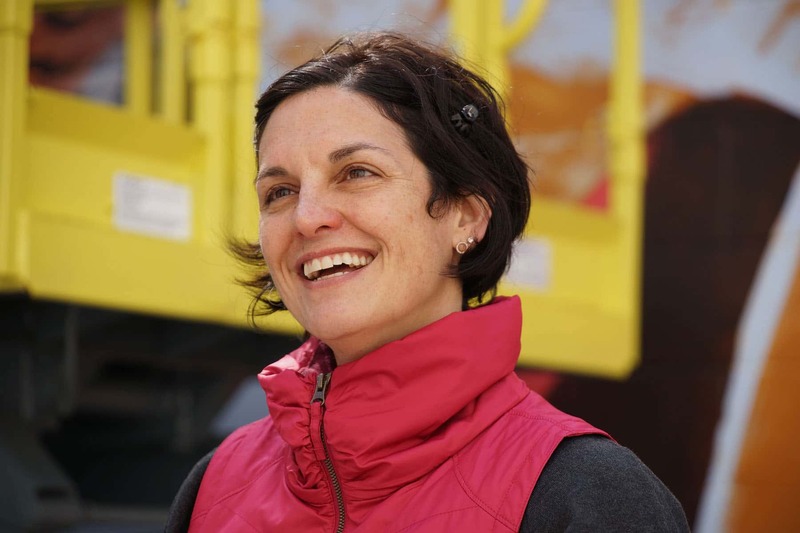 Williams-Ng is ecstatic to continue using her expertise and wealth of ideas to paint the blank canvas that are Milwaukee’s walls.